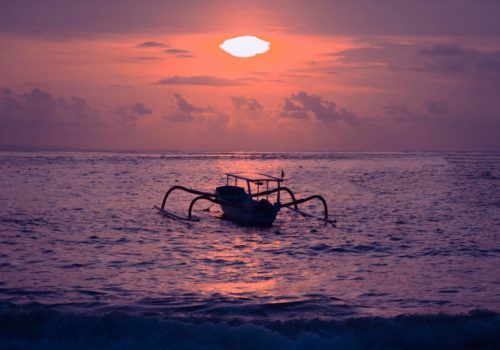 Escape to the tropical paradises of Bali, Lombok and the Gili Islands on this highly popular multi-centre trip. Be captivated by the mix of stunning landscapes, sacred temples and rich culture that make the region so unique. Explore rice terraces, authentic villages and waterfalls on Bali’s more low-key neighbouring island, Lombok. The tranquil Gili Islands, where motorised vehicles are banned, have sparkling beaches and colourful sea life and are great for travellers looking to switch off. 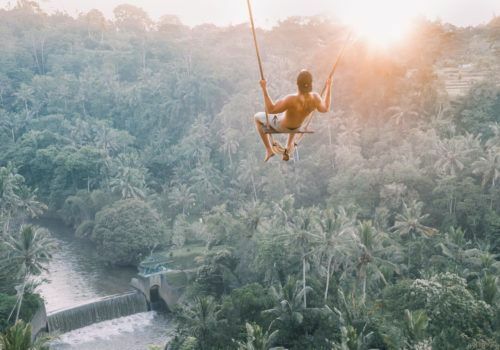 Fly into Denpasar and kick-start your Bali adventure in the town of Ubud, the island’s artistic and cultural hub. Meander around at your leisure exploring the local markets. Enjoy a hearty breakfast before admiring traditional Balinese architecture, art and culture at Peliaton Palace and the ARMA museum. Meet the mischievous inhabitants of Ubud’s sacred Monkey Forest and meander around Ubud market for an authentic taste of Balinese life. Take in the beautiful rice terrace landscape before a 1-hour trek along palm tree lined paths into the rice terraces themselves. Witness the thousands of herons who roost late afternoon each day in the nature lovers’ spot of Petulu. Round off your day with a traditional dance performance and delicious Balinese cuisine for dinner. 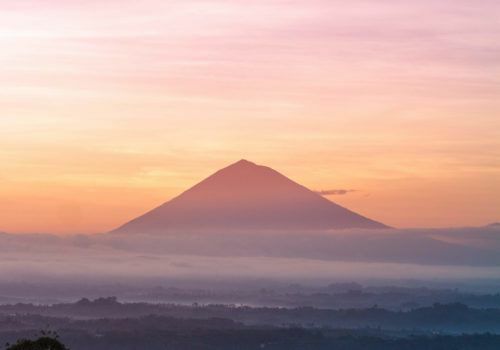 Today you will marvel at the exciting stops en route to the active volcano Mount Batur. Gunung Kawi is the tremendous 11th century temple featuring shrines carved into the cliff face. Tirta Empul is most famous for its sacred spring water and is where the locals come once a year for ritual cleansing. Further north, Kintamani has the most spectacular views of Mount Batur and of the large, crescent-shaped Batur Lake. After lunch, you’ll head to Penglipuran, a traditional village renowned for its architecture and spectacular Kehen Temple, often called ‘Mini Besakih’. See the tranquil ponds and traditional Balinese architecture at the royal Taman Ayun Temple in Mengwi. Make sure you have your camera ready for Ulun Danu Temple on Lake Bratan. Sitting peacefully on small islands in the lake’s calm waters, it gives the illusion of ‘floating’ – the ultimate icon of Balinese architecture. 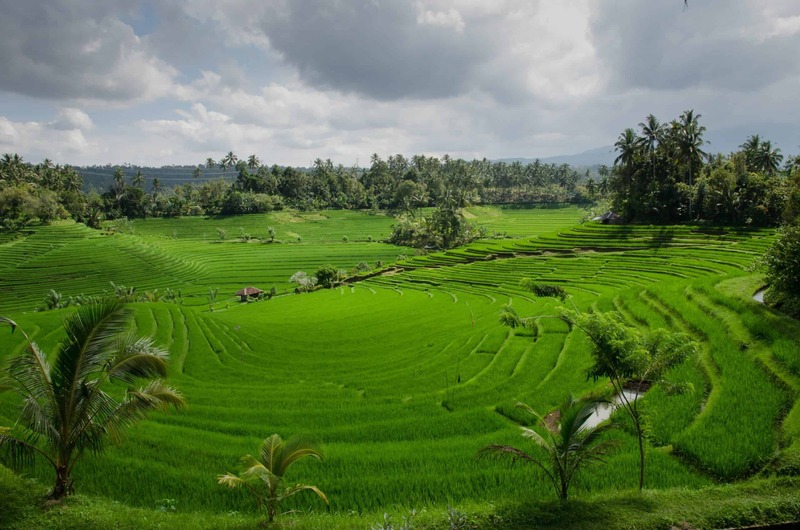 Marvel at the spectacular views on a trek through the rice fields at UNESCO-listed Jatiluwih, known as the ‘Rice Granary of Bali’. Watching the sunset at the Tanah Lot temple, which sits on a small island just off the beach, is the perfect end to your day. Venture east of Bali to the ancient justice court of Kerta Gosa. Continue to Besakih, Bali’s largest and most religiously significant temple. 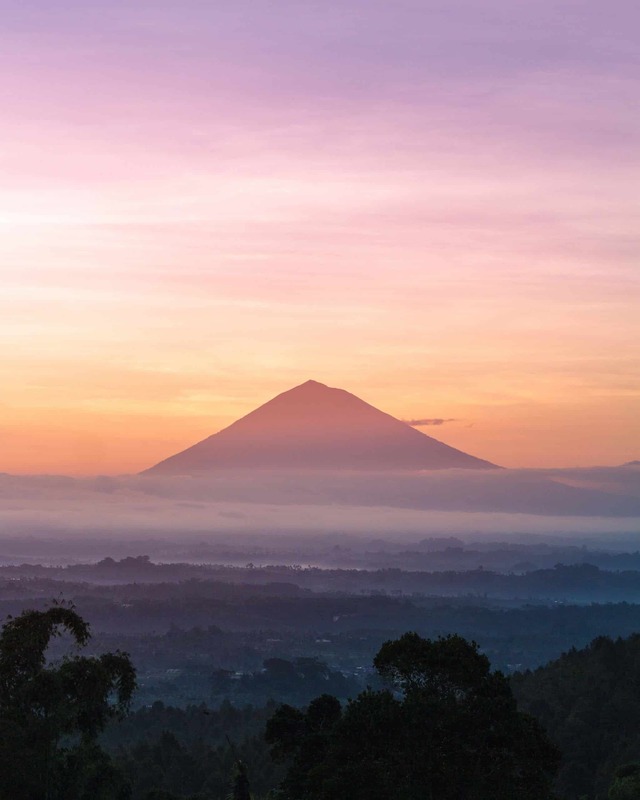 Located on Mount Agung, Bali’s highest volcano (2,567m) and that recently erupted, Besakih is known at the ‘Mother Temple’. Begin the next chapter of your Indonesian adventure as you head to Lombok. How to get from Bali to Lombok? You can fly from Bali to Lombok in 30 minutes or take the ferry which takes approximately two hours. Spend your day at leisure relaxing on Senggigi Beach. Today you will be picked up from your hotel and taken to Tetebatu on the southern slopes of Rinjani National Park. Kick start your trek with a cup of coffee (or two) made with traditionally roasted beans. Observe farmers hard at work in the rice fields, plantations and fruit gardens for an insight into rural life. With some luck, you will hopefully see primates jump from tree to tree in a remote monkey forest. Visit the natural wonder of the Tibu Topat waterfall and enjoy a locally prepared lunch in the village of Tetebatu. Interact with local families as you try your hand at weaving bamboo thread and learn about producing iconic clay roof tiles. How long does the boat take from Lombok to Gili Islands? It takes 35 minutes via fast boat. Arrive at Gili Trawangan and be taken to your hotel via Cidomo, or horse cart. Spend the rest of the day at your leisure. After the sun goes down several restaurants show movies on the big screen bringing people together for a great dinner experience. Gili Trawangan, Gili Meno and Gili Air each have a unique personality. Sail between each island and once you’ve landed, explore via Cidomo or on foot. Snorkel on Gili Trawangan and see the impressive coral gardens and (potentially!) sea turtles. Cool down in the crystal blue waters and relax on the white sand beaches of Gili Meno and Gili Air. For divers, the Gili Islands offer an incredible experience and are one of the most renowned diving regions on earth and a great place to learn to dive if you haven’t ever tried.